Badet signed a contract to join the Panthers' practice squad, Courtney Cronin of ESPN.com reports. Analysis: Badet spent the summer with the Vikings but was let go as part of the team's final roster cuts over the weekend. However, the Oklahoma product evidently caught the eye of the Panthers' scouting department and will now be stashed in Carolina for the time being. Badet was helped off the field by trainers during Saturday's preseason game against the Jaguars after taking a helmet-to-helmet hit, Courtney Cronin of ESPN.com reports. Analysis: Badet appeared to have taken a blow to the head before being helped off the field, so he'll need to clear the league's concussion protocol before potentially returning to practice during the upcoming week. 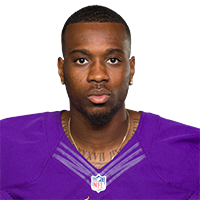 The reserve wide receiver is likely a longshot to make the Vikings' 53-man roster, so he'll look to return in time for the team's third preseason tilt against the Seahawks on Friday.